Muhammad: the man who transformed Arabia. The man whose life in some measure determines the everyday behaviour of more than a billion of his followers across the world. And yet a man it is difficult to know. 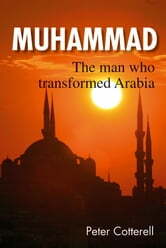 As the author of this book points out, biographies of Muhammad have tended to present him either as a man who could do nothing right or else as a man who could do nothing wrong. Somewhere in between is the real Muhammad.